Therefore, I would like to ask the question: what is Levelled Production really? - It stabilizes the production environment. - It allows to work with very few stock (finished goods and/or materials), which is JIT. Working more than 10 years in an Automotive Supplier, Toyota was one of my largest customer. I have never seen Toyota ordering same quantities everyday to our plant, even Toyota Turkey (which is one of the best sites among Toyota) was not sending us a forecast with same quantities everyday. But still Toyota Turkey is working with so few stock, if we miss a shipment, the plant would stop in a few hours. So, how could that happen, Toyota is not sending us a forecast where we have same quantities everyday and still has levelled production? Maybe levelling is not about producing always the same quantities everyday but something more? Then I realized one more thing: Toyota is almost never changing the schedules it would send to us. Is levelling than not about producing every day the same quantity, but about not changing the plan? Well, that could make sense. Because if one do not change the plan for a long time, there would be stability in the Plant. The changes will occur in a planned way and there would be no hectic in the plant. And if you know that your plan will not change than you can trust the system more and reduce the safety stock levels. How we can have a plan, which needs no change during next 3 months? A good plan includes views of all involved parties, production department approval to start with. Planning is not the task of Planning department alone, planning is the lead, but it needs the buy-in of all involved parties, such as production, industrial engineering, pre-serial platform, etc. to create the most executable plan. 2. The Production Plan shall be as long term as possible. To be able to have a good overview and react to ups and downs in a calm way, the Plan shall be min. 6 months. Start with analyzing the Customer Forecasts, and make corrections on them to bring the customer forecasts as much as possible to reality. Do this even when it conflicts with the information coming directly from the customer. 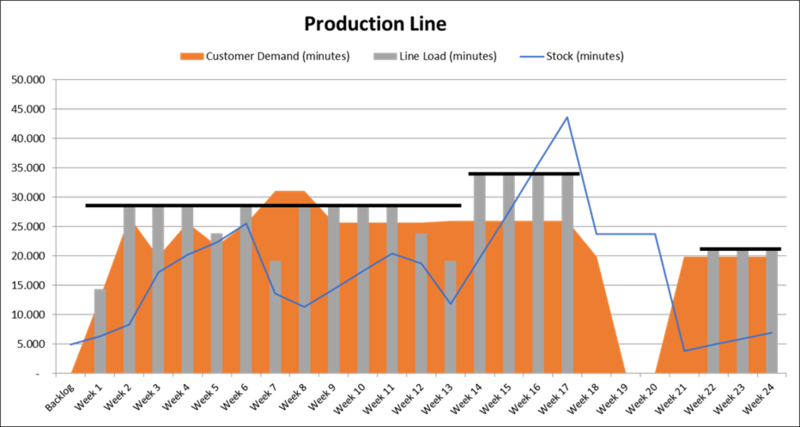 Make a production plan based on the corrected Customer Forecasts. The Plan shall be so realistic that production will not have issues producing, while satisfying the customer needs. our super executable plan will naturally need to be levelled (repetitive) in terms of capacity. Once agreed, get signature from above mentioned involved parties to make sure they do not forget what they agree. This signed document is called Levelled Production Contract. Do it in a regular meeting which occurs monthly or weekly. 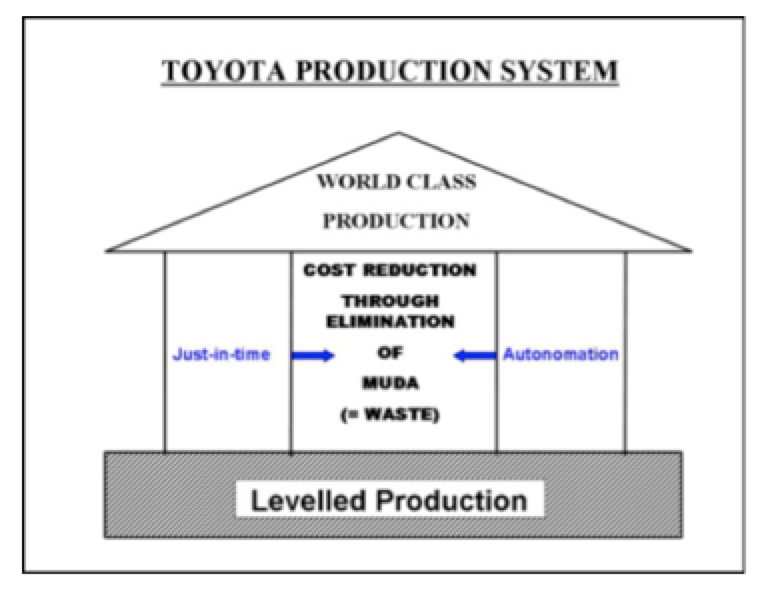 Convert the Levelled Production Contract to Levelled Production Schedule (i.e. Minutes to Pieces). Run MRP based on Levelled Production Plan, and send the resulting forecast to suppliers so that you get exactly enough material as you need to produce according to levelled production plan. 6. Make sure Produced = Planned. No more, no less. Monitor Production very closely and react immediately. I was told, Toyota is keeping 2 hours’ space between each shift to react to problems in production so that each shift produces exactly what it needs to produce. When the Produced = Planned than planning needs no change (=very few change), unless there is a dramatic change in customer demands. Which leads to no change in MRP. Which leads to stability. However, doing all these steps in a complex environment with hundreds of lines and thousands of SKUs needs Automation. Do not try this at the office if you do not have an Advanced Planner Software such as CAPLAN, capable of doing Levelling.